Key Features 1. 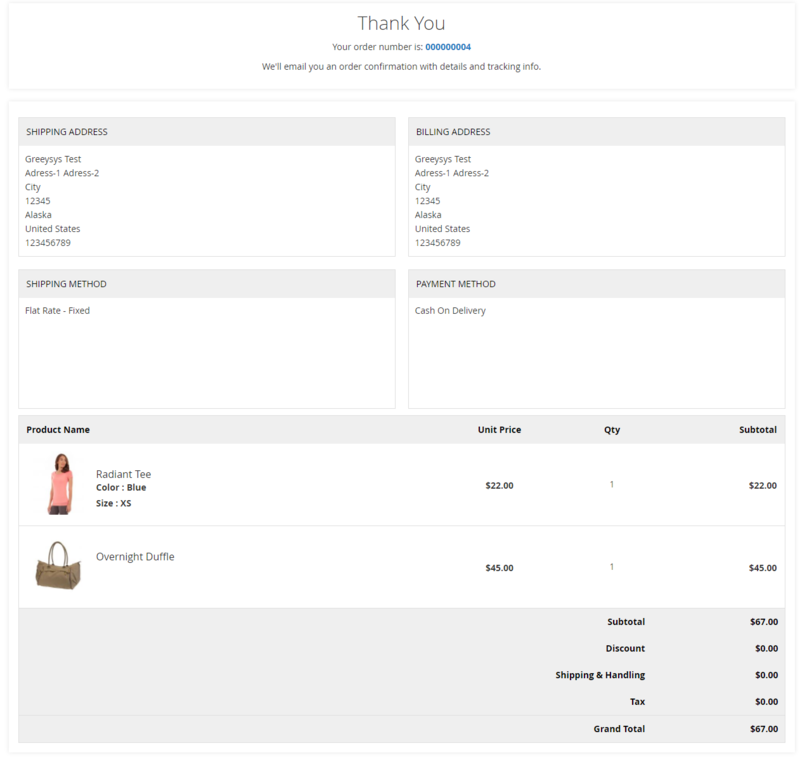 It shows CMS static block content, product detail, shipping address, shipping method, billing address, payment method on order success page. 2. 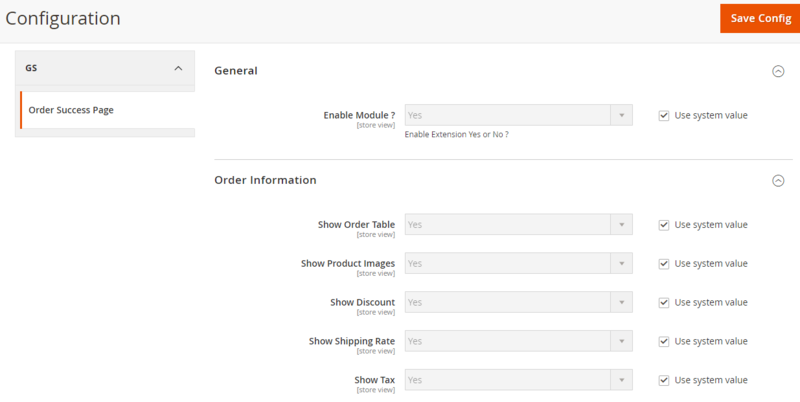 Admin manage order success page from system configuration. Frontend Features 1. 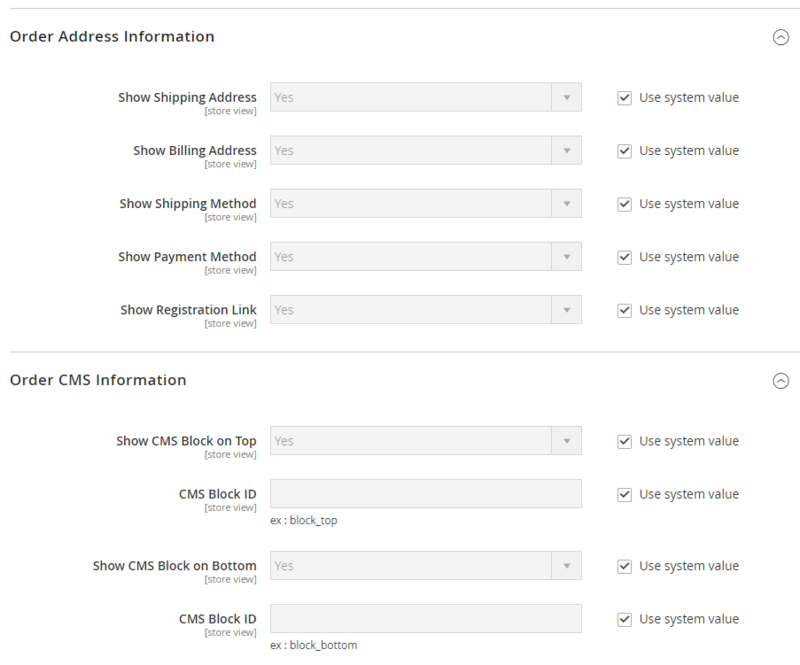 Users can see CMS static block content, product detail, shipping address, shipping method, billing address, payment method on order success page.